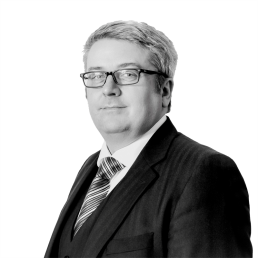 Stephen is a general family law practitioner specialising in both public and private children law including removal from the jurisdiction, care proceedings, adoption and inter-country adoption and child abduction. Stephen also has extensive experience of divorce, ancillary relief, domestic disputes, cohabitation and Public Interest Immunity.  Lawson Prize – Child Law – University of Manchester. I am registered with the Information Commissioner’s Office (ICO) as a Data Controller for the personal data that I hold and process as a barrister. My registered address is New Court Chambers, Temple, London EC4Y 9BE and my registration number is Z6998512. All of the information that I hold about you is provided to or gathered by me in the course of your case and/or proceedings. Your solicitor and I will tell you why we need the information and how we will use it. · Performance of a task carried out in the public interest or in the exercise of official authority vested in the controller. · The legitimate interests of ourselves, or a third party, except where such interests are overridden by the interests, rights or freedoms of the data subject. I do not use automated decision-making in the processing of your personal data. Any other party where I ask you and your consent to the sharing. I store my case files on Microsoft Onedrive which is a cloud hosted environment service based in the US. Microsoft relies upon a variety of legal mechanisms for its international transfer of personal data from the EU to the United States. Microsoft is certified under the EU-US and Swiss US Privacy Shield Programs regarding the collection, use and retention of personal data and its transfer from the EU and Switzerland to the United States. In addition to the Privacy Shield, Microsoft also provides strong contractual guarantees around the privacy of its services and relies on the EU Model Contract Clauses to cover its international transfers of data. I am satisfied that such transferred data is fully protected and safeguarded as required by the General Data Protection Regulation. I retain your personal data while you remain a client unless you ask me to delete it save as set out below. There are overriding legitimate business interests, including but not limited to fraud prevention and protecting customers’ safety and security. The General Data Protection Regulation gives you specific rights around your personal data. For example, you have to be informed about the information I hold and what I use it for, you can ask for a copy of the personal information I hold about you, you can ask us to correct any inaccuracies with the personal data I hold, you can ask us to stop sending you direct mail, or emails, or in some circumstances ask us to stop processing your details. Finally, if I do something irregular or improper with your personal data you can seek compensation for any distress you are caused or loss you have incurred. You can find out more information from the ICO’s website http://ico.org.uk/for_the_public/personal_information and this is the organisation that you can complain to if you are unhappy with how I dealt with you. Data Protection Policy available on request. New Court Chambers is a London based family law chambers. Our family barristers offer a high quality legal services across the full range of family law work, including family law advice, public law care and private law children. We are a team of professional and high quality family lawyers.  As a Chambers, we pride ourselves on offering a consistent, professional and high quality service to our clients at all levels. Our friendly and approachable team of clerks aims to offer a dedicated and reliable service, tailored to the individual needs of each individual client. Contact us at our London Chambers for more information.